East Meadows sits in an elevated position, enjoying fabulous views to the north and south over the unspoilt Taw Valley. The property is on the edge of the small and popular village of Eastacombe a mere few minutes drive into the commercial and residential hub of Roundswell on the outskirts of Barnstaple. 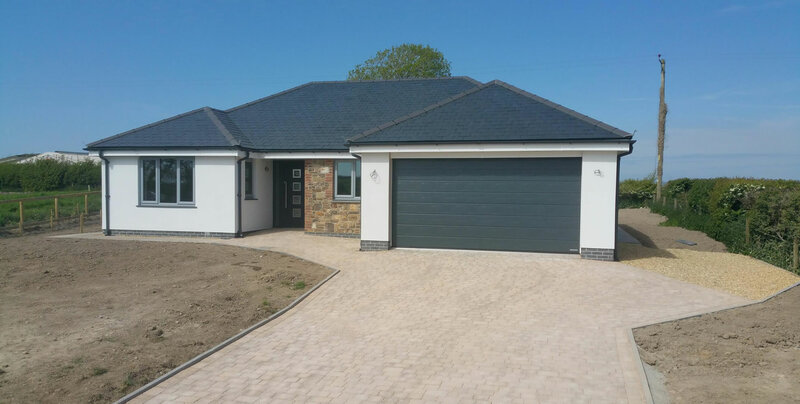 Whilst it is very much a rural idyll, East Meadows is ideally positioned for access to the North Devon link road (the A361), the town centre of Barnstaple, the A39 to Bideford, the popular market town of South Molton and the rural town of Torrington. Barnstaple is also on the famous 'Tarka' line which provides a regular service to Exeter and the main line trains. Exmoor and the well-known beaches at Woolacombe, Croyde, Saunton and Westward Ho! are also within very easy driving distance. With its highly accessible location, North Devon’s local and private schools, Sainsbury’s, Boots Pharmacy, Roundswell Business and Retail Parks, pubs, post office and local shops, and a number of takeaway restaurants are all within easy reach. 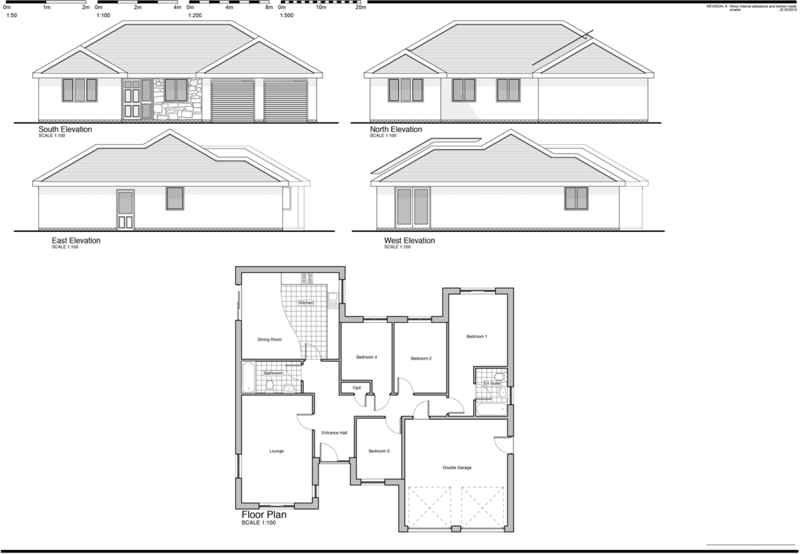 Our homes are all built to match or exceed the best known warranty standards. We are both NHBC and LABC registered. When we say built to last, every build item is considered in detail. We don’t do flimsy and cheap timber frames; we build traditional solid cavity walls. Our stud walls are 4 inches thick with sound deadening quilt and half inch plasterboard, with a 2 coat final skim. 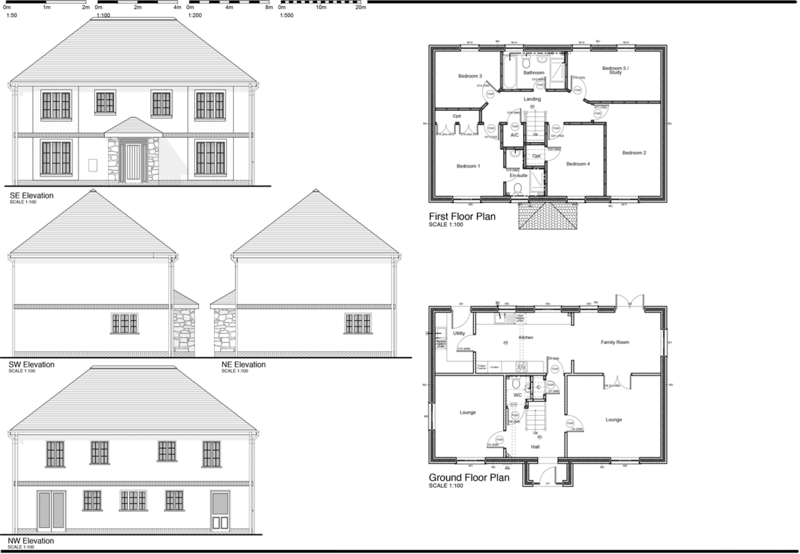 The houses boast solid floors and a complex roof construction, built with great expertise to give the design “look” that Castle demands, with insulation and detailing exceeding the regulations with your “real life” in mind. The roof is covered with Class 1 Natural Slate for a great look that will last and last, complemented with colour matched, cast iron effect guttering. Our windows are triple glazed and our doors are equipped with laminated glass and security measures to comply with the new “Document Q” Building Regulations. Castle set the highest standards; we hope that you will be as proud of your new home as we were to build it. In this section we tell you a little more about the details that make for a fabulous new home. 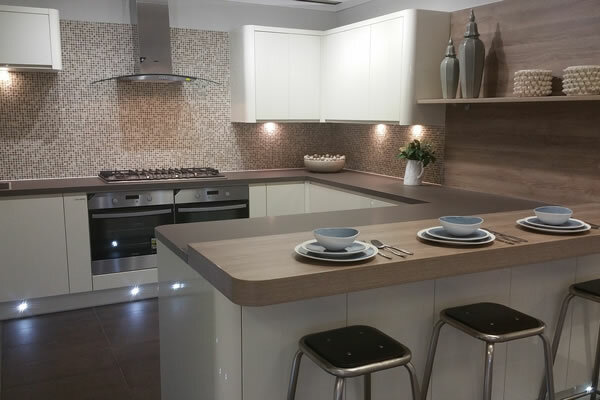 Speak to us about buying off-plan to give yourself the opportunity to tailor the finishes to your taste. Everyone one of our homes comes with a high specification, contemporary and fully equipped kitchen so you can just “move in”. However, we know that having completed many new kitchen installations in the past, a kitchen is where you can make a personal stamp. We are happy to assist you to make the perfect choice – whether it is ultra-modern or country, traditional equipment to state of the art. 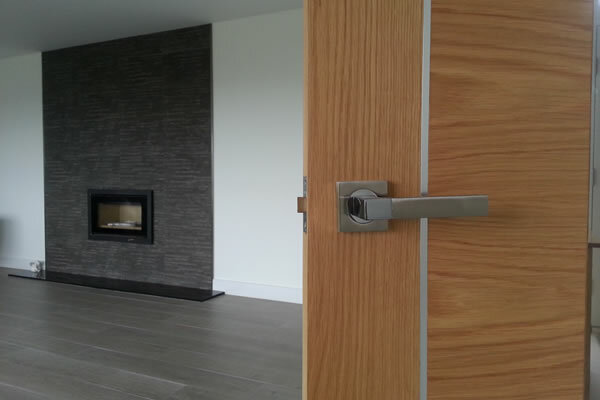 It is all about the details for us and we feel that the internal doors are a piece of furniture in their own right. As such they should be an item of beauty to complement your new home. 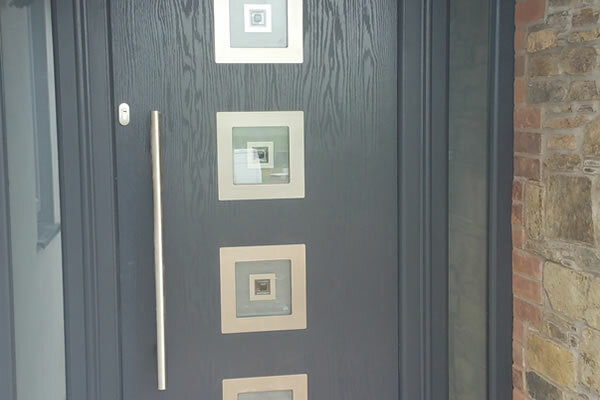 We do of course specify to match the modern style of our homes but we are of course, happy to help you personalise. 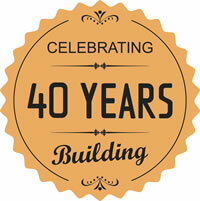 After all, quality ironmongery is a must for longevity and a high quality feel. 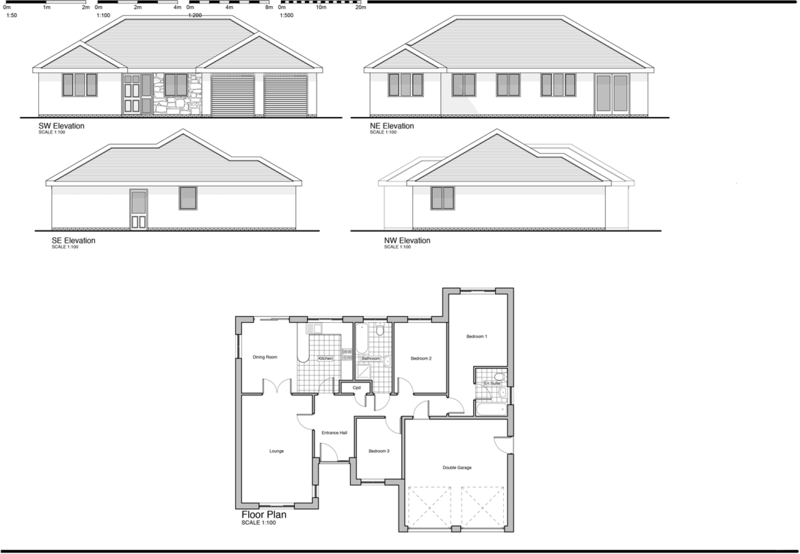 Our houses reflect the increasing demand for state of the art equipment. 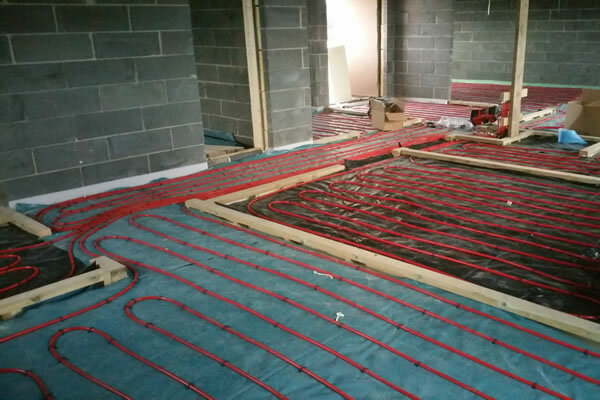 Our houses are equipped with modern air source heat pumps, underfloor heating and mechanical ventilation with heat recovery. The benefits are reduced environmental impact, lower running cost, higher comfort and health, and a level of future proofing. Even the garage has triple glazing, cavity insulation, skimmed ceilings and an electric door (made from insulated powder coated aluminium with draft exclusion) – if only for your treasured cars! Finally, the whole house is wired with Cat6 [should read Cat 6] cabling in all rooms (except bathrooms) for great internet and TV. 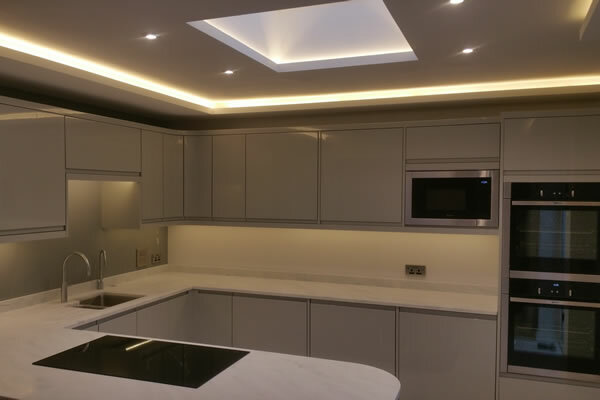 With great experience in creating modern homes gained over 40 years of building experience, we have a whole range of lighting ideas that have inspired us over the years to create mood, provide task lighting, develop cool designs and clever additions. For example, we provide sensors to switch on soft lighting as you enter the different rooms and the hallway. We know that people who buy modern homes expect the highest standards of security. 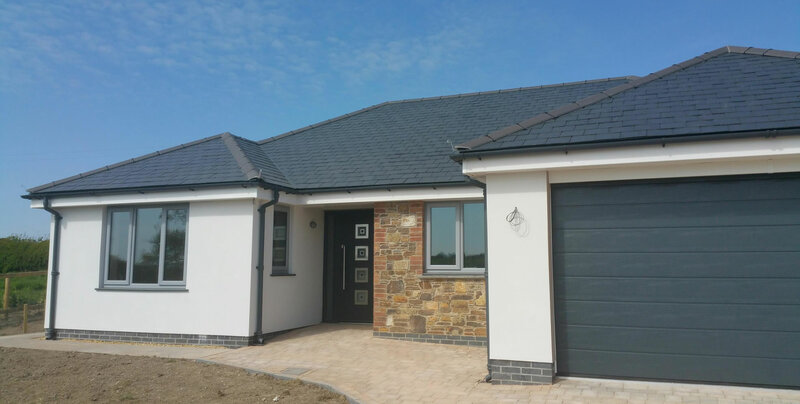 With that in mind, our specifications includes triple glazing, multipoint locking on all doors and windows, wiring for an alarm, exterior security lighting and an electric garage door and gates. Want more than that? Then let us know. Block paving to the drive and brick gate pillars that match the home, give a quality feel as you approach. Electric gates open and bring on soft lighting to the gate pillars to welcome you in. A second button opens the double garage door and you are home! Mostly laid to lawn, the extensive grounds have a pedestrian gate for visitors and secure fencing all around with mature hedgerows and Beech hedging to new boundaries and front entrance. 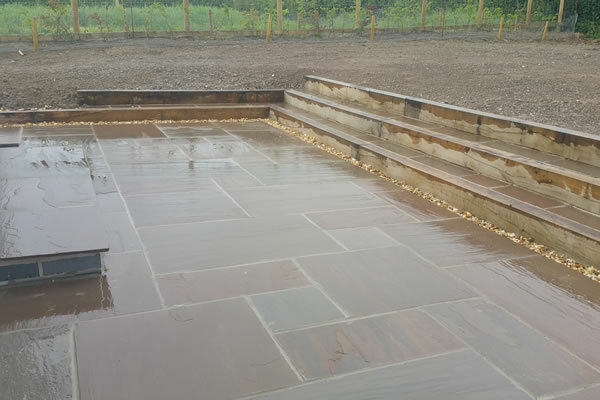 Indian Sandstone slabs and a gravel margin wrap around the property with a patio area to the rear. The gardens gently slope to compliment the natural contours of the land. 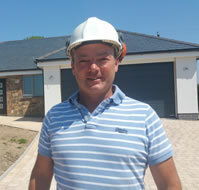 Castle Developments (Devon) Ltd (Castle) was established by Martin Young in 2018 to develop a total of eight new homes at East Meadows in Eastacombe. 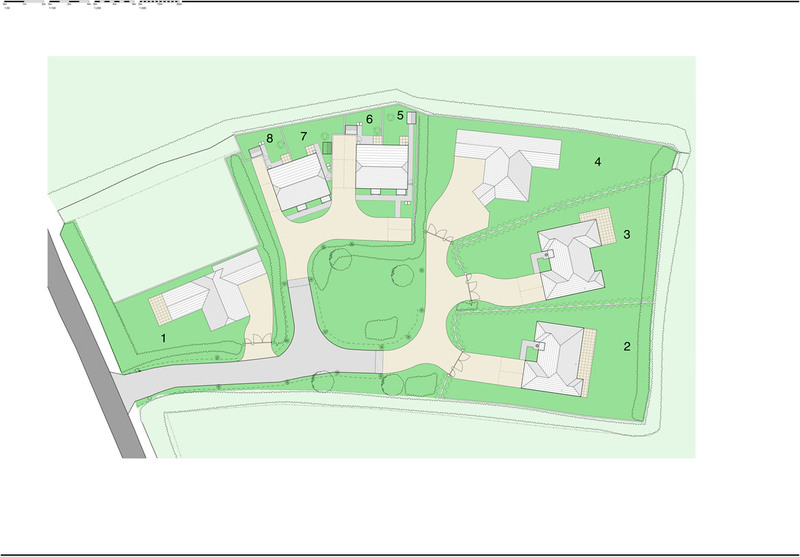 With a focus on great location, great design and high-quality workmanship, East Meadows will be the first of a number of small, select housing developments in North Devon. When you buy from Castle, you are not buying from a large, regional or national housebuilder. 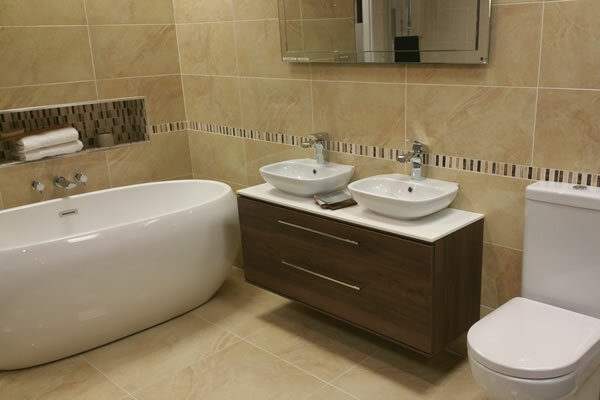 You are buying from a highly experienced local developer / builder who cares deeply about his product. 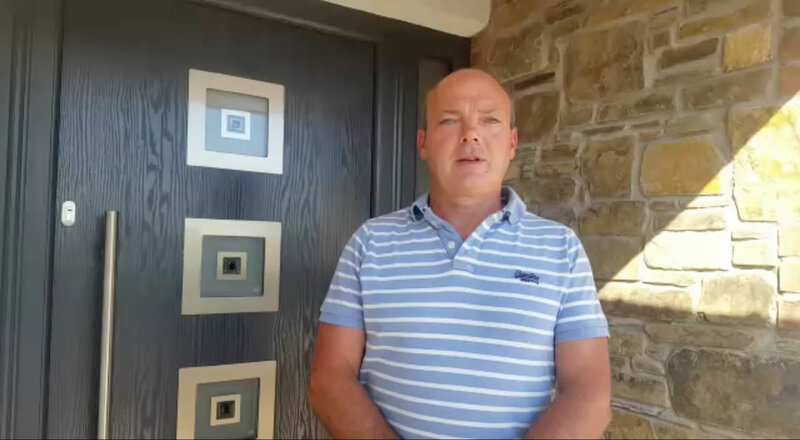 Castle is no faceless corporate; Martin will be available to talk to you about the details and getting it just right. 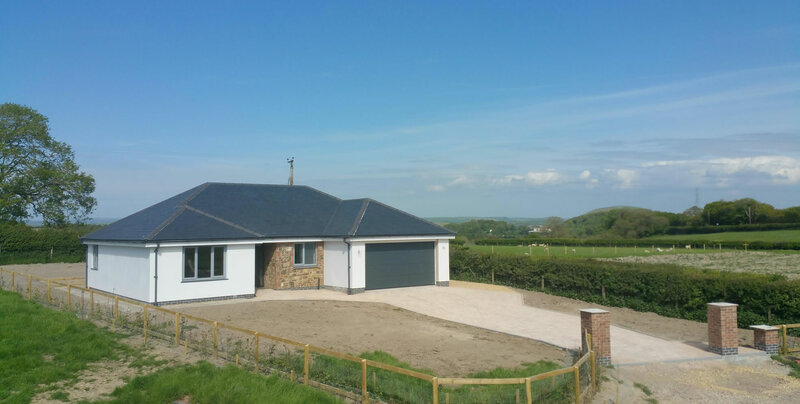 Whilst Castle is a new venture, the contracted builder WT Young & Son has been established in Barnstaple for 40 years in 2018. Martin Young has been involved in construction all of his life having followed in the footsteps of his father William Thomas Young who established WT Young & Son in 1978. Better known as Bill, Martin’s father was well known in North Devon renowned for his great skills in carpentry; he became a lecturer and Building Employers Confederation President and at one stage, he was head hunted to work on projects in Bermuda. Bill eventually passed the business into Martin’s safe hands in 1998, some 20 years ago. 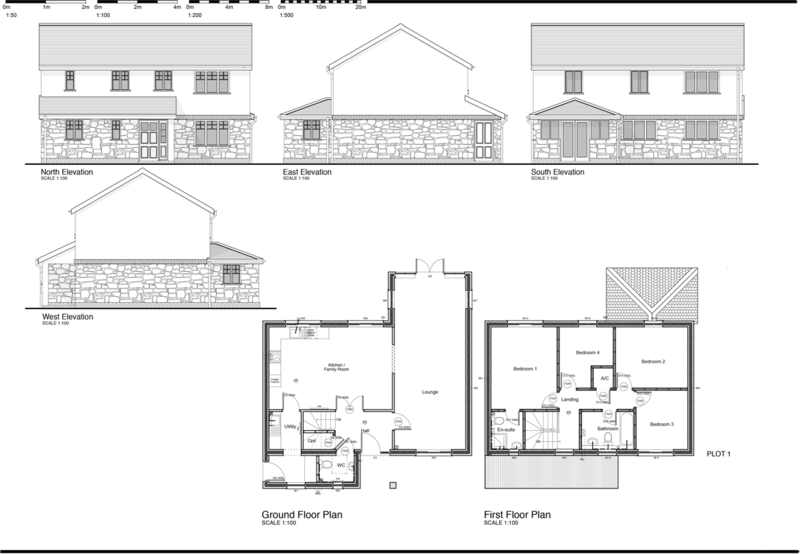 Registered Office - Castle Developments (Devon) Ltd, Shorleigh Farm, Tawstock, Barnstaple, Devon, EX31 3HX. © Copyright 2017 - Castle Developments (Devon) Ltd. All Rights Reserved. VAT Registration Number - 290 8736 68.